With the hot weather upon us, I was lucky enough to receive two boxes of Minute Maid Juice Bars in exchange for an honest review on this blog. I received no other compensation. The popsicles come in little pouches that you push-up as you eat. They are made from 100% real fruit juice and contain a full day's supply of vitamin C.
Available in three flavors: grape, cherry, and orange, they are sure to delight your kids and yourself. They are refreshing and healthy. The perfect choice for picnics, BBQs, pool parties, park dates, or just a tasty treat to help you stay hydrated. Check your freezer section to grab your own box. My opinion is that these are indeed better than the regular stick popsicles, although not as easy to eat. The little ones had trouble with the whole concept of pushing the pop up. It wasn't as messy, except when the whole pop came out of the pouch. And the kids liked drinking the juice in the cup at the end. If you are looking for a new treat to try, I definitely say give this a go! Disclaimer: I received this product free of charge in exchange for a review on this blog. I received no other compensation. I know it has been a while for this on the blog. I have definitely been MIA. With Michael being gone my focus has been less on the blog and more on keeping the children alive. Now that he has returned I can branch out my activities a little. James gets his cast off today! We are all so excited. Summer time is a time for projects and I had the genius idea to paint Margaret's room. By myself. While Michael was away. I would say that I am 95% done, and that probably means that is as far as I am going to get. The walls are two different shades of purple (although you really can't tell), I repainted half of the red bunk bed, and she got new curtains and a new bedspread. I'll post photos soon. After being on the waitlist for 10 months, Henry was finally able to get into speech therapy. We had a few sessions before summer break. He has homework, which I should probably be making him do. Crud! We had an adoption opportunity this past week which I really had a good feeling about. I really thought this was the one. We made it to the "final round" if you can even call it that, and then we weren't chosen. Bummer. 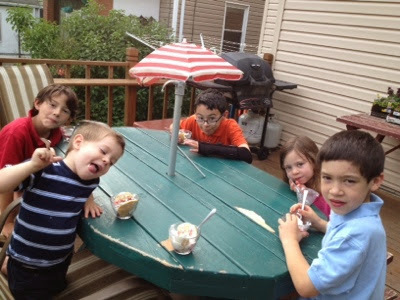 A Facebook friend adopted seven kids yesterday. She had already had them for months, and yesterday it was official. They range in age from 3 to maybe 12. With Malcolm getting older (and me getting older! ), maybe I should look more into this option. Not seven, but a "ready-to-play" two year old. Had a nice treat yesterday when I got to see some family from Oregon! I haven't seen my aunt, uncle, or cousin in about four years. It was a great visit and only made me a little homesick. 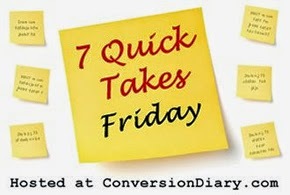 Check out more Quick Takes or Random Thoughts! I love history! I always say that if I had college to do over again, I would study history. I want to pass this love to my children in fun and engaging ways. One of these ways is through games. I met the representative from The Classical Historian when I was in South Carolina for a conference and I just loved the products they offered. 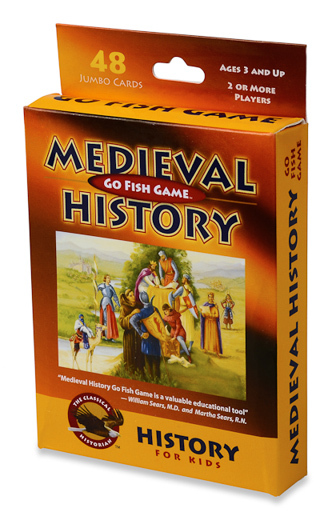 One of the selections were several card games that could be used for several grade levels and covered several different historical time periods. 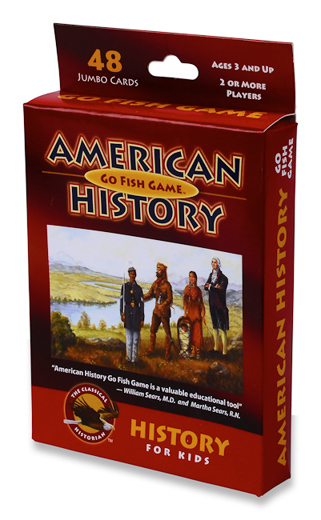 Not only are these games affordable, only $11.99 per deck, but they can be used in a variety of ways: as a stand-alone game, as a review, as a teaching tool, etc. The colorful pictures and informative descriptions make them a vital part of my history classroom at LMCA. The study of anything is better retained when more senses are engaged and the learner is a more active participant in the process. I encourage you to visit The Classical Historian website and consider making these games a part of your history classroom as well. Okay, so I am way behind on my blogging, and now that it is officially summer and Michael is finally home for a spell, I will try to catch up. May was an exciting month for us. So many changes this year with schooling made for an exciting end-of-the-school-year. LMCA ended with a bang! What a successful year. With enrollment nearly doubled for the upcoming year, LMCA has proven to be an answer to our homeschooling prayers. The kids enjoyed participating in the EOY (End of Year) show. It's so fun to see them up in front of an audience. Isaac also had an EOY musical performance. It is such a joy to see him excelling in a school environment. Being pulled in so many difference directions means that we have to start to pick and choose our activities. We just can't do it all. After much thought and prayer, we have decided to end our time with Cub Scouts. We did get to enjoy one last hurrah: a trip to Hersery and Harrisburg! And we can't end the school year without a piano recital. James injured his wrist on the day of the recital, so he wasn't able to perform. But the others did a wonderful job. We had a great visit with Grammy and Grandpa Bob last month. Wow! Was that really last month! Time flies! 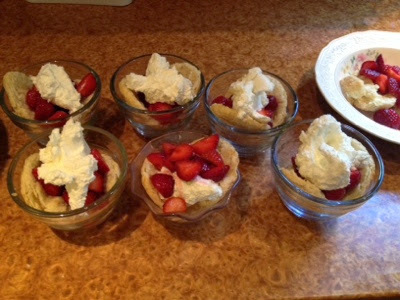 One of the best parts of summer is we have time to let the kids plan and cook dinner. 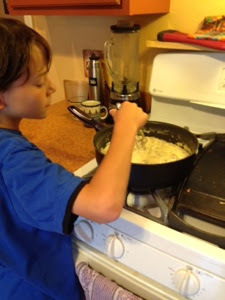 Isaac was up tonight and he made biscuits and gravy from scratch. 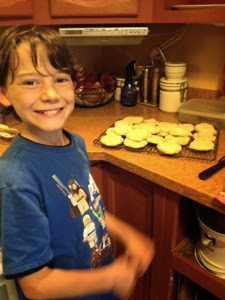 Isaac has successfully completed his first year of traditional schooling! It is a victory for Michael and I because we accomplished things as well such as conforming to a school schedule and letting our second born out of the nest a little earlier than anticipated. We are so proud of Isaac and ended up really liking the school that he attends. We are excited that he wants to return for Grade 5 and are confident it'll only help him to grow. First day of Fourth Grade. He looks so young! Last Day of grade 4. Playing the school's alma mater at the last morning meeting. There were seven possibly academic awards that fourth graders can earn. Isaac came home with six of these awards! Way to go Isaac! Like countless children before them, my kids love to have stories read to them. They have their modern-day favorites and their favorite timeless classics. Stories about a mischievous little rabbit and all the adventures he experiences have been around since I was a child. I loved to hear stories about Peter Rabbit as a child and was excited when Kinder Cottage Publishing offer me free copies of two stories about Peter Rabbit in exchange for a review on this blog. These aren't your traditional stories of Peter Rabbit. Published by Kinder Cottage here in the U.S.A., Peter still has a familiar blue coat, and fluffy tail. The two stories I received Peter Rabbit Goes A-Visiting and Peter Rabbit's Birthday (numbers 5 and 7) are small hardback editions with beautiful illustrations. Both stories are adaptations of the story originally written by the Henry Altemus Company in the early 1900s. The stories are very similar to ones you will remember and include his brothers and sisters (Flopsy, Mopsy, and Cotton-tail) as well as his lovely patient mother. Peter Rabbit Goes A-Visiting originally published in 1921, follows a familiar path of Peter stealing out of Mr. McGregor's garden and barely making it home, getting into mischief and being sent to bed without supper. On an errand the next day for his mother, he gets distracted by a friend and proceeds to have all sorts of adventures with many different animals, all the while those at home are terribly worried he was met with some awful fate. Peter Rabbit Goes A-Visiting is available in hardback on the Kinder Cottage Publishing Website for $4.00. It is intended for children ages 3 to 9, but truthfully can be enjoyed by all ages. Henry (age 8), Margaret (age 6), Malcolm (age 3), enjoyed this story as a family read-a-loud. The second book I received was the hands-down favorite of the two. Something about birthdays just makes anything number 1 around here. Peter Rabbit's Birthday has the same classic illustrations, and was originally published in 1921 as well. It starts out in a familiar way, with Peter being mischievous. This time, however, he is promised a birthday party for good behavior. Peter tries very hard to stay good as his family prepares for the party, but the little rabbit is so accident prone and has many mishaps all through the day. It all ends well, and Peter is rewarded in the end with a wonderful party with all his animal friends. This was again read as a read-a-loud and the kids just loved the new antics and mishaps of Peter and admired the beautiful timeless illustrations. 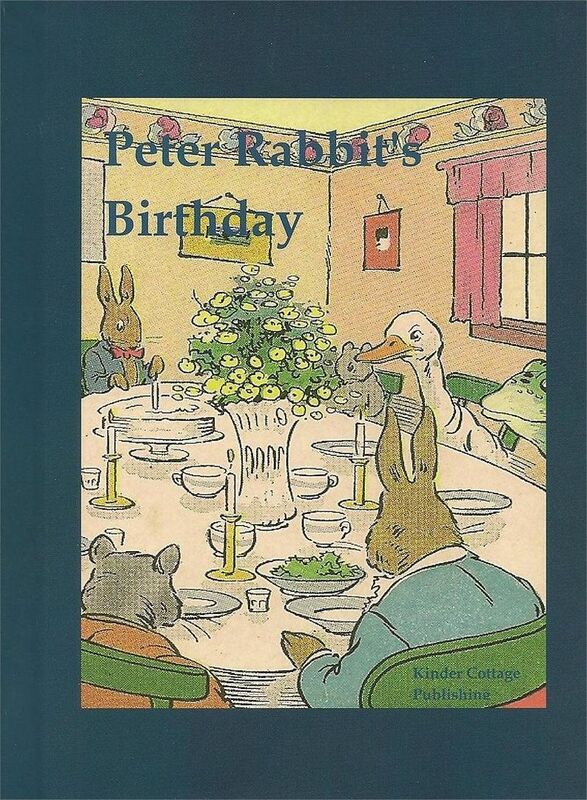 Peter Rabbit's Birthday is available on the Kinder Cottage Publishing for $4.00. 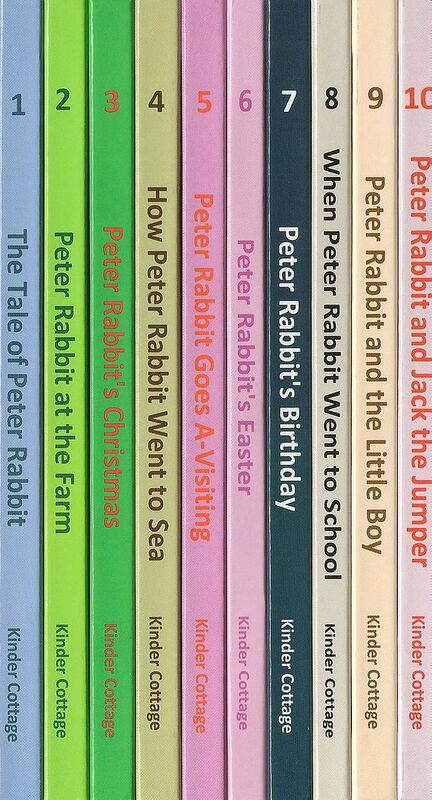 I thought the books were wonderful little extensions of the stories of Peter Rabbit that I knew as a child. I loved that some of the same themes were present, and that new adventures and characters were introduced. The small size of the books made them perfect to bring on a car trip or stick into a carry-on bag for the airplane. And you can't beat the price! 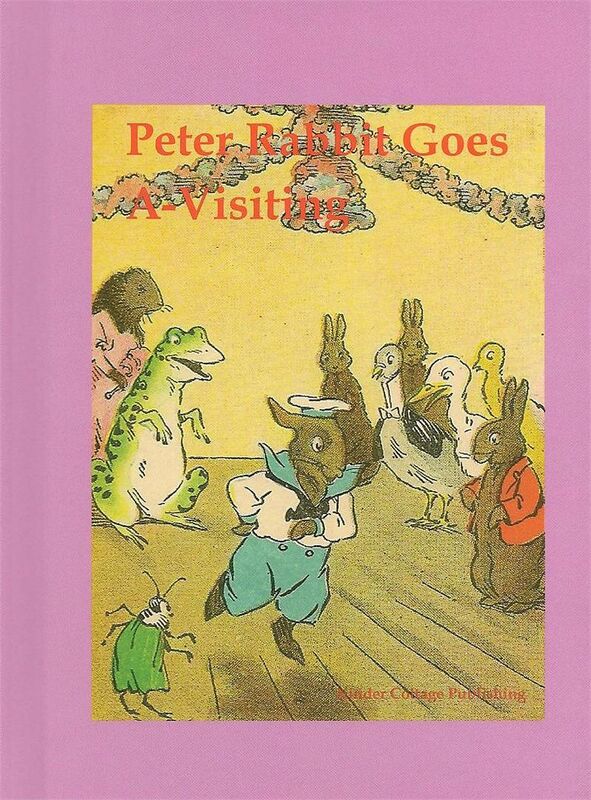 In addition to these stories, Kinder Cottage Publishing has several other stories about Peter Rabbit as well as a history biography series for elementary aged children. Many other folks over at The Schoolhouse Review Crew got to read different stories of Peter Rabbit. You can click here to read those reviews, or click the banner below. We had our Spring Piano Recital last night. Unfortunately James got injured during his afternoon soccer game (buckle fracture to wrist) and was unable to play his pieces. Margaret played: 'Come See the Parade' by Faber (Duet) and 'Dancing with Frankenstein' by Faber. Henry played 'Olympic Fanfare' by Leo Arnaud and 'Hedwig's Theme' by John Williams (duet). Isaac played 'Prince of Demark's March' by Jeremiah Clark and 'The Entertainer' by Scott Joplin. 'Carry Me Back to Old Virginny' by James Bland and 'Comedian's Dance' by Kabalevsky. Sweet Frog treat after the performance!